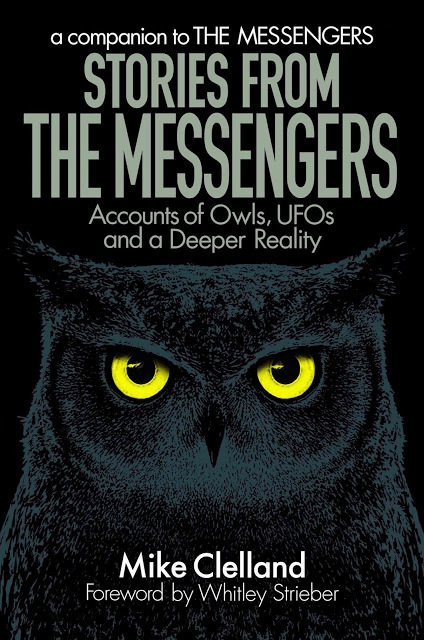 After more than two yeas of hard work, my second owl book is available for sale. This on the same day I do an interview on Coast to Coast AM with George Knapp! The first book was my way of wrestling with some big ideas, and I used a lot of examples to make my case. Those examples were all stories from people. Some were gleaned from the UFO literature, but most arrived in letters to me. I tried to talk with everyone at length, and what I realized was that there is a grand novel that needs to be written about anyone who's had an owl story. But the first book required that I edit down their stories until they were just a few sentences. I was forced to do this in order to address the core questions of that book. It broke my heart to tell those stories in such a fleeting way. 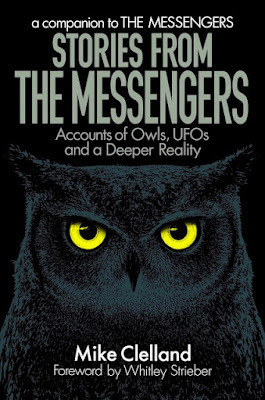 The companion book (Stories from The Messengers) was my need to tell these stories more completely. It reads like a book of short stories, and I tried to truly look at ALL the details that played a role in the lives of these people. The first book was my own therapy. I was in the throes of trying to make sense of my own experiences, and it felt like I was teetering on the edge of madness. Completing the first book was a kind of solace. I was a much calmer person afterwards. Book two was a much different process. I talked at length with people and really worked hard to tell their stories accurately. This meant lots of long conversations on the phone and over email. Those people telling their stories meant wrestling with demons. I understood this battle, and it made the experience of writing very powerful. Both books stand alone, and any first-time reader should be able to follow the ideas without having read the other one. The point of the second book was to tell these stories more completely.